…The aspects of Scottish history to which Buckle turned his attention were ones that worried his contemporaries as much as himself Why was there such a difference in outlook between the Scots and the English? Why was the church history of the two countries so different? Why had the Scots apparently reacted in such a different way from the French and the English to the eighteenth-century Enlightenment? Why, above all, had Scotland produced a clerically-dominated religious revival in the first half of the nineteenth century, which had served to make Scotland unintelligible to the English, and had apparently reestablished a system of clerical tyranny? For Buckle the answer to all these questions lay in the Scottish preference for deduction over induction. In England intellectual development had followed inductive lines—pref erring inferences drawn from experience to deductions drawn from hypotheses. In Scotland the preference had been all the other way—deductions drawn from theoretical propositions dominated Scottish thought and made for the tyranny of religious bigotry. Just how deeply Buckle felt about the matter comes out toward the end of his narrative. In no other Protestant nation, and indeed in no Catholic nation except Spain, will a man who is known to hold unorthodox opinions find his life equally uncomfortable… in no civilized country is toleration so little understood as in Scotland. Nor can any one wonder that such shall be the case who observes what is going on there. The churches are as crowded as they were in the Middle Ages, and are filled with devout and ignorant worshippers, who flock together to listen to opinions of which the Middle Ages alone were worthy. And the result is that there runs through the entire country a sour and fanatical spirit, an aversion to innocent gaiety, a disposition to limit the enjoyment of others, and a love of inquiring into the opinions of others, and of interfering with them, such as is hardly anywhere else to be found. Buckle’s starting point, then, was not in fact a sober inductive analysis of historical data but an instinctive repulsion against the manifestations of the evangelical movement in Scotland. In this he reflected contemporary English opinion and in turn helped to intensify it. The Disruption of the Church of Scotland on the issue of spiritual freedom in 1843 was a mystery to English observers. It smacked of priestcraft, of enthusiasm, of anti-intellectualism. Contemporary Scottish debates about the future of Scottish education were equally a closed book to most Englishmen. The Scots seemed bent on cutting themselves off from the rest of the civilized world merely out of pride in outworn traditions. And Buckle, like John Stuart Mill in his Examination of Hamilton (1865) , seems to have determined to do what he could to prevent this self-immolation. Nor was Buckle’s book without immediate practical bearings. Coming so soon after the Scottish Universities Act of 1858 it was an important contribution to contemporary debate about the future of Scottish education. The defenders of the traditional Scottish philosophical education were already under pressure. 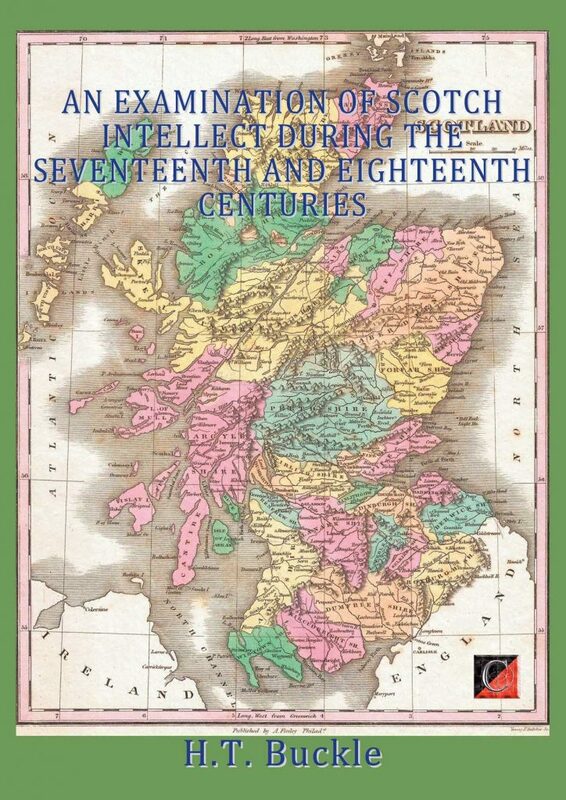 Buckle’s History, it has been argued, “may well have been decisive in hardening British public opinion against the claims of Scottish philosophical education, and against the institutions designed to carry on its traditions. Both English and Scottish conservatives already believed that Scotland should follow the example of Oxford and Cambridge and the English public schools. Now the liberals were being urged to join in condemning Scottish education, first by Buckle and then by Mill. Not that Buckle and Mill were alone in their arguments. Much of what they wrote would already have been familiar to the reader of The Times, which had assumed a markedly anti-Scottish tone about the time of the Disruption, and had become a permanent and intellectually distinguished critic of Scottish life and letters. The second level at which Buckle can be read is that of the gossip column and the historical anecdotes derived from older writers, which enliven his pages and enable him to make satirical comments at the expense both of the Scottish clergy and the Scottish people. Some footnotes, such as footnote 32 in chapter 1 of this edition which deals with the lack of cleanliness of the Scottish people, were obviously designed to appeal to Victorian prejudices (English travellers in the 1850s and 1860s were often much shocked by the dirt they encountered in Scotland But the passages are always well selected and to the point. As a result, Buckle’s History is a treasure house of anecdote. Finally, there is the philosophical analysis of Scottish modes of thought, which Buckle himself regarded as his great achievement. Everywhere he writes well about Scotland, but real enthusiasm shines through this analysis. Buckle’s philosophical armory is not a very formidable one. He sees that there are essentially two forms of logical argument, the deductive and the inductive. Deductive arguments he associates with the extraction—from general premises about the nature of mankind or of God—of particular conclusions about particular events. (This is not the only meaning given to deduction in ordinary use, where it often suggests moving from a fairly narrow premise to a fairly broad conclusion, in the manner of Sherlock Holmes. Inductive arguments Buckle associates with the collection of data and with empirical experiment on the lines suggested by Bacon. Starting from a multitude of small items of evidence, one aims by induction to erect a general theory covering all the evidence, and ultimately at a single general theory to cover all observable phenomena. Deduction, according to Buckle, proceeds from the general to the particular, induction from the particular to the general. While deduction has its uses, only induction on Baconian lines ( he magnifies Bacon’s contributions to science excessively) will unlock the secrets of the world. Deduction is appropriate to theology, which rests on premises incapable of inductive proof, but the world of nature and of rational man is a world to which inductive methods hold the secret. Buckle’s argument is that Scottish thinkers have all in the last resort preferred deductive to inductive methods. As a result, even the great figures of the Scottish Enlightenment committed themselves to use the same methods as the theologians, and hence restricted their own influence. Deduction for Buckle is essentially an elitist method of argument used by people claiming special knowledge. It is used by those who wish to expound the doctrines they hold to the multitude, but the nature of the method is such that it leaves the people in a state of permanent intellectual subjection. They are not encouraged to test premises, which depend in the case of theology on divine revelation and obscure texts, and in the case of philosophy on superior knowledge and intuition. Thus, according to Buckle, however democratic the Scottish people might be in social terms, their thinkers were, virtually without exception, elitists. There was, as a result, an intellectual authoritarianism about the Scots, and a preference for word spinning, which attuned their minds more readily to ecclesiastical propositions i.e., superstition than to the propositions of modern science. In the last resort Buckle’s analysis must be regarded as a shrewd but incomplete one. He recognized that there was a strong Cartesian strain in the Scots and particularly in Hume), something which few others had perceived. And he recognized many of the characteristic patterns of Scottish argument. But the equipment he brought to bear in his analysis in the last resort failed him because it was inadequate for the purpose. His understanding of the scientific method, though his ideas were shared by many of his contemporaries, was slight. He failed to see the importance of intuition and deduction in the natural sciences, where the scientist moves from a hypothesis arrived at by intuition and deduction from known data to experiment and verification in order to establish both particular facts and general theories, and he placed undue weight on the merits of induction. He assumed that the authority of Newton was on his side without taking sufficiently into account the fact that Newton was as much a model for the thinkers of the Scottish Enlightenment as he was for Buckle. In short, Buckle, like so many other thinkers before and since, demonstrated that the attempt to apply concepts derived from mathematics, logic, or the natural sciences to human behavior is fraught with difficulty, and that the greatest single difficulty is the would-be social scientist’s ignorance of the techniques he wishes to apply . Buckle’s contemporaries were for the most part impressed by the extent of his reading and excited by his arguments. But they were reluctant to accept either his methods or his conclusions. The youthful Lord Acton condemned him for taking his main lines of argument from others, for displaying less learning and originality than Gobineau the celebrated French writer who first began the modern study of racial characteristics) , and for having less scholarship than a number of German historians. Most churchmen found Buckle’s markedly anti-Christian bias extremely unpalatable, and were prepared to go to astonishing lengths in misrepresenting his arguments in order to demonstrate their unacceptability. In Scotland, Presbyterians of every denomination were unalterably hostile. Those outside the ranks of organised Presbyterianism (particularly Catholics) were more favorably disposed. Alexander Russel, editor of The Scotsman, is said to have been enthusiastic —as was perhaps natural in the Whig editor of a journal opposed to ecclesiasticism of all sorts. Buckle himself was very pleased to receive a letter from a Glasgow tavern keeper saying that every word Buckle had written about the Scottish character was true, and that he would have written as Buckle had done, had he ever learned to write books.” Furthermore, scholarly support for Buckle’s account of Scottish history came from an eminent Scottish historian, John Hill Burton, writing anonymously in The Scotsman.” Burton accepted Buckle’s account of the main outlines of Scottish history, but rejected some details. The pattern that obtained in Scotland in 1862 has on the whole been since maintained. Buckle was widely read down to 1914 by men of an anticlerical and libertarian cast of mind, and was championed by the able Scottish secularist thinker John Mackinnon Robertson, who produced a new edition of the History. But good Presbyterians were hostile, and historians took very little notice of him. Today, Buckle’s History is not included in the bibliographies of Scottish history in use in Scotland, and it is all but forgotten that such a large proportion of Buckle’s work was ever devoted to Scotland. The only Scottish writer in recent years to give Buckle even passing attention is the distinguished writer on the history of ideas, George Elder Davie. Now that Presbyterian prejudice has dimmed in Scotland it should be possible for Scots to read Buckle with pleasure and profit. He is an entertaining writer who appeals to a wide range of readers. There are good anecdotes and broad outlines for the general reader; ideas to be explored ( some of them good, some not so good for the scholar. Above all Buckle stands for organizing historical narrative in terms of ideas rather than sequences of events. Scottish historians have in the past been prone to eschew ideas as dangerous distractions from the main job of getting the facts right. Now that Scottish history is in a relatively flourishing state there is perhaps room again for men of ideas. he was really proposing, albeit only broadly and not in systematic detail, to begin the reduction of all human affairs to the principle of natural law. Now, though attempts of this kind had been made in antiquity alongside of attempts at a valid physical science, and although famous writers, as Vico and Montesquieu, had done something to reduce the phenomena of societies to natural law, at a time when even chemistry and geology were far from being scientifically grasped, the mere complexity of the problem, and its specially close contact with religious prejudice, have kept it in its pre-scientific condition for the mass of educated people down till our own day. There was, indeed, a remarkable movement of sociological science in Scotland and Germany last century, following on the great and diverse stimuli of Montesquieu and Rousseau. Hume’s sociological essays are among his best. Ferguson at points expressly resisted the a priori method of Rousseau, which was in part followed by Montesquieu and D’Alembert; Millar and Dunbar applied Ferguson’s methods in some detail, and arrived at some solid results; Monboddo is admitted to have anticipated much of the method of the later anthropology; and even Kames, writing his “Sketches of the History of Man” with haste in his old age, helps to the same end. In Herder’s “Ideas on the Philosophy of the History of Mankind,” again, we have one of the classics of sociology, an eloquent and ingenious effort, on theistic lines, towards a cosmical view of human development. But the reaction after the French Revolution seems to have arrested this as well as other movements of critical and scientific thought for two generations. Herder’s book was well translated into English in the year 1799, and a second edition was called for in 1801; but the impulse went no further, and the translation was never reprinted. It seemed as if the forward-looking people of that time were crushed out by the triumph of the animal instincts of strife and reaction. Buckle was thus, as it were, resuscitating a buried movement and reviving a forgotten interest. It was not Buckle’s fault that his History flashed like a meteor across the firmament and disappeared. He was working in an environment where his views were likely to be more popular than respectable, and academic opinion was sure to be dead against him. Yet no one can read Buckle without recognizing that he was a thinker of real imagination and grasp. Like Lord Acton, his ambition was to write a history of liberty; like Lord Acton, he failed to complete it, but his actual achievement was no less impressive than Acton’s, and on many counts very much more impressive. The Catholic Acton and the Deist Buckle should be read together. Henry Thomas Buckle (1821-62 ) was the only son of a London shipowner, Thomas Henry Buckle. A sickly child, he managed to avoid formal education and spent but a short time in his father’s firm. After the death of his father in 1840, he devoted himself entirely to travel and to scholarship. His life after 1842 centered on the great library he amassed in London. The first volume of The History of Civilization in England, which Buckle described as a “general introduction,” appeared in 1857 and made an enormous stir. A second edition with a much more extensive table of contents was issued in 1858. The only other volume to be completed was published in 1861. Subsequent editions of the History were usually divided into three volumes, the first containing Buckle’s general propositions about History, the second his account of France and Spain, and the third his history of Scotland. After Buckle’s death in Damascus in 1862 his unpublished papers were collected by John Stuart Mill and by his stepdaughter Helen Taylor. They were published by Helen Taylor in 1872, in three volumes, as The Miscellaneous and Posthumous Works of Henry Thomas Buckle.